I have written here before about the academic powerhouses that exist in the form of Historically Black Colleges and Universities. I believe these schools need to place increased emphasis on inclusion of all students, regardless of race, in order to stay relevant in the increasingly broad educational spectrum. That being said, the facts remain that HBCUs are an integral part of the nation’s higher education system, particularly when it comes to bright futures for African-American students. There are several “top” lists that use complicated algorithms and formulas to determine which of the 105 HBCUs are the best from year to year. My list is less scientific; I based my picks on a combination of graduation statistics, available financial aid, world-renowned academic programs, strides in diversity, and a variety of other factors. 1. 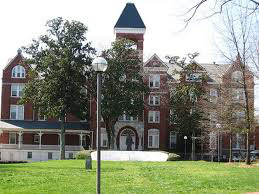 Morehouse College, Atlanta: This liberal arts college for men is considered a member of the “Black Ivy League” with academic rigor similar to Johns Hopkins and MIT. Many Black leaders in business and civil rights have roots at Morehouse, including Martin Luther King Jr. The freshman retention rate is just over 83 percent and indicates the level of student pride. New this spring, Morehouse is offering a LGBT course. The course is specific to LGBT history in the Black community and is the only one of its kind. 2. Spelman College, Atlanta: With just over 2,100 students, Spelman holds the distinction as the oldest HBCU specifically for women. The liberal arts college boasts above an 80 percent graduation rate and is the second largest producer of all Black college graduates that go on to medical school. As a result, the admissions process is considered very selective, and a degree from Spelman carries a lot of weight in the business and academic world. Though it is a private institution, 92 percent of Spelman students in 2012 were eligible for some form of needs-based financial assistance, and 13 percent had the financial need completely met. 3. Howard University, District of Columbia: Many students are drawn to Howard because of its urban setting. More than 7,000 students are enrolled in the school that offers more than 80 majors. The university houses the most concentrated group of Black scholars in the world—benefitting students and the D.C. community. Though tuition runs a steep $32,155 for undergraduate students to $55,874 for medical school students, just over 52 percent of students had their financial needs fully met at Howard in 2012. 4. Hampton University, Hampton, Va.: This school is rich in alumni history, having graduated such notable names as Booker T. Washington and Alberta Williams King, the mother of Martin Luther King Jr. Tradition trumps trends and education takes center stage, and a dress code is in effect to reduce distractions. Hampton recently created a nanoscience academic concentration with nearly $3 million from the National Science Foundation. 5. Tuskegee University, Tuskegee, Ala.: Tuskegee was founded with the sole purpose of providing a teaching degree program in Alabama, and is now considered one of the oldest nursing programs in the nation. Students with medical pursuits still seek out Tuskegee, and it is the only HBCU with a fully accredited College of Veterinary Medicine. In recent years, Tuskegee has placed focus on a Bioethics and Research program that delves into the ethical and scientific treatment of minorities in the U.S. and around the world. 6. Florida A&M University, Tallahassee, Fla.: As a public school, Florida A&M offers affordable programs to just over 11,000 students. Students at FAMU are at an academic advantage with a student-faculty ratio of 21:1 and a university endowment of more than $75 million. A 2010 report from the National Academies ranked FAMU as the number-one school in the nation that turns out Black students holding doctorates in engineering and natural sciences. 7. Jackson State University, Jackson, Miss. : This state school is a member of the Thurgood Marshall College Fund and is one of just two HBCUs that are considered “research intensive” universities. It is the number-one HBCU when it comes to federal research funding, garnering $68 million annually. Jackson State is also the number-two school in terms of the number of African-American teachers and number four in educating African-Americans in biomedical and biological sciences. Disclaimer: I received my master’s and doctoral degrees from JSU; however, its ranking was not influenced by my affiliation with the university. 8. Alcorn State University, Lorman, Miss. : With three campuses based in Lorman, Natchez and Vicksburg, Alcorn State boasts its reputation for a friendly campus. Three out of four students choose to live on campus, and the total population is small, with just under 3,300 undergraduate and graduate students. Of special note is the fact that Alcorn is the first HBCU to receive the diversity and inclusion award from the Insight into Diversity organization. Alcorn is also one of only two HBCUs to offer free Massive Open Online Courses to people all over the world. 9. Claflin University, Orangeburg, S.C.: Once a Methodist school, Claflin has grown to include a large variety of degree programs. At the end of 2012, Claflin received a $1 million endowment for music that gives scholarships to students pursuing music as a career. The school also works in conjunction with the South Carolina Center for Biotechnology to prepare students for impactful careers in the field, and hands-on experience is available through the close proximity to Research Triangle Park. 10. Tougaloo College, Tougaloo, Miss. : The campus of Tougaloo was built by Christian missionaries on converted plantation land in 1869, making it one of the oldest HBCUs in the country and part of the National Register of Historic Places. With an emphasis on community service, the mission of Tougaloo is that “students become self-directed learners” that are able to problem-solve and succeed in all areas of life. Dr. Beverly Wade Hogan became the first female president of the college in 2002, and has raised the student retention rate to 68 percent. 11. Dillard University, New Orleans: Since 2002, Dillard has been home to the Institute of Jazz Culture, making it a destination for travelers who arrive in New Orleans to celebrate the genre of music. The campus also has several relatively new facilities after Hurricane Katrina made rebuilding necessary. 12. Fisk University, Nashville: Fisk is the oldest accredited HBCU in the South and is designated as a national landmark. The school often is recognized for its strong natural science research and programs and is the proud home of the Fisk Jubilee Singers, a highly celebrated African-American musical ensemble. 13. Xavier University of Louisiana, New Orleans, La. : With a very selective admissions process, this Southern school is the only Catholic HBCU. The school’s pharmacy program consistently ranks in the top in the nation, and Xavier is considered a strong choice for students preparing for medical school. 14. Langston University, Langston, Okla.: All bias aside, Langston is an up-and-coming HBCU. Under the leadership of recently-named president Dr. Kent Smith Jr., I believe Langston will continue to be a leader in innovative teaching methods. Also, as odd as it may seem, Langston boasts the number-one goat research program in the world. 15. Alabama State University, Montgomery, Ala.: Alabama State is an excellent choice for students interested in going into education. Almost 50 percent of undergraduate students and 80 percent of graduate students are pursuing careers in education. Alabama State is also a top recruiting school for college football. 16. Tennessee State University, Nashville: Its proximity to “Music City USA” lends students at Tennessee State the opportunity to enjoy some of the best musical experiences in the world. The university has a 16:1 student-faculty ratio and a research budget of more than $32 million annually and has the highest number of African-American graduates that go into the agricultural industry. 17. Winston-Salem State University, Winston-Salem, N.C.: Winston-Salem consistently ranks as a top school for comprehensive public education. In February, the school received a grant of nearly $960,000 to further develop the early childhood education program. 18. North Carolina A&T, Greensboro, N.C.: This is an especially affordable option, with 85 percent of students receiving needs-based assistance. NCAT’s Sustainable Infrastructure Materials (SIM) Laboratory began in 2009 and is considered on the cutting edge of research pertaining to the reduction of the carbon footprint. 19. Delaware State University, Dover, Del. : Last year, the school received $10 million to establish a neuroscience research center from the National Institutes of Health. Delaware State has higher diversity than other HBCUs, with just 75 percent of students of African-American heritage. Top programs include Business Administration, Psychology and Mass Communications. 20. Virginia State University, Petersburg, Va.: Situated on 236 acres overlooking the Appomattox River, the scenic appeal of Virginia State is enough to give it a spot on this list. The school is a leader in developing educators as well. The National Science Foundation recently awarded Virginia State with nearly $1.5 million to further develop math teachers. Dr. Matthew Lynch is a department chair and an associate professor of education at Langston University. He has focused his career on researching topics related to educational policy, school leadership and education reform, particularly in the urban learning environment.